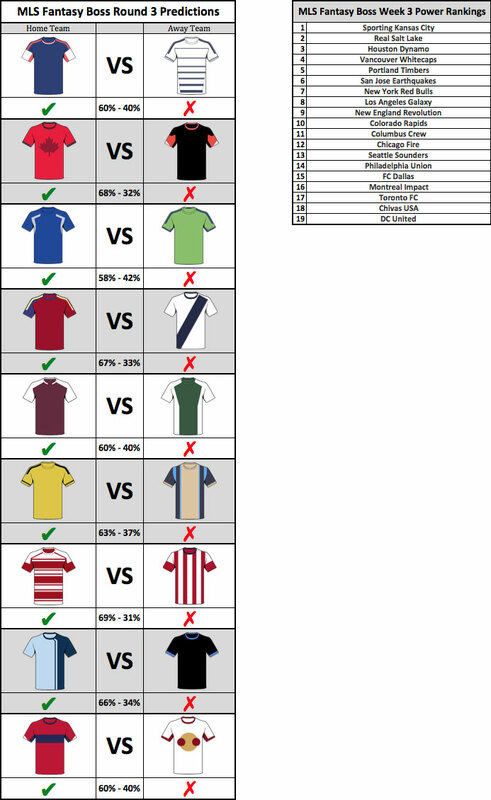 Here are the MLS Fantasy Boss predictions for Round 3 and my Power Rankings. How do these match up to your predictions? Let me know by sending me a Tweet at @MLSFantasyBoss or join the Live Chat just n the sidebar to the right.